A divorce is the termination of a marriage by legal action, requiring a petition or complaint for divorce (or dissolution in some states) by one party. Some states still require at least a minimal showing of fault (grounds), but no-fault divorce is now the rule in which incompatibility is sufficient to grant a divorce. The major issues in divorces are division of property, child custody and support, alimony (spousal support), child visitation and attorney's fees. Only state courts have jurisdiction over divorces so the petitioner/complainant can only file in the state in which he/she has been a resident for a period of time. In many states, the time period from original filing for divorce and final judgment (or decree) takes several months to allow for a chance to reconcile. From the legalities, divorce gives both parties the legal right to marry another. A divorce also legally divides the couple's assets and debts as well as determines the care and custody of their children. Every state approaches these issues differently although most states use similar standards. The most relevant issues to be decided during divorce proceedings are alimony or spousal support, division of marital assets, and, if children are involved, child custody, visitation and child support. 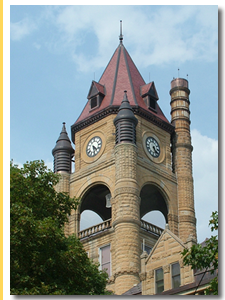 Contact a Iowa family law lawyer representing clients in Indianola, Iowa today to schedule your initial consultation. Extreme cruelties is an archaic requirement to show infliction of physical and/or mental abuse by one of the parties to his/her spouse to support a judgment of divorce or an unequal division of the couple's marital assets. Evidence of cruelty may result in division of property favoring the suffering spouse. Currently, Alaska does not have case law or statutes that clearly address this issue. Louisiana has never recognized alienation as a pliable cause for action and Ohio does not allow (by statute) monetary recovery for alienation of affection. Recently, North Carolina has extended the time frame in which one spouse can file an action for alienation of affection.